Northern Arizona is rich in beauty and history. 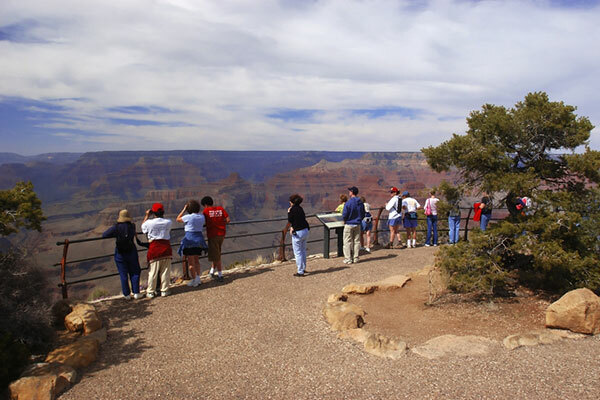 Across Arizona Tours offers a 2-day sightseeing tour that takes in some of the most stunning landscape on earth. In addition, it introduces you to the culture of the Navajo Indian Reservation. The Monument Valley, Grand Canyon, and Sedona Overnight 2-Day Tour departs from Phoenix, Scottsdale, Tempe and Mesa at 8:00 am. On the first day, we will introduce you to the majestic Monument Valley, complete with a tour through the stunning landscape. The final day of the 2-day tour takes us to the Navajo Indian Reservation, where we will stop at the Cameron Trading Post. Next, there will be many opportunities to stop and be amazed by the breathtaking views of the Grand Canyon. After lunch, we will take you to Sedona and the Beauty of the Red Rocks. For complete details on the Monument Valley, Grand Canyon, and Sedona Overnight Tour 2-day tour, please refer to the blue Tour Highlights tab above. This tour will be conducted in a deluxe van or a luxury bus depending upon the size of your group.